American humorist, actor, and social commentator Will Rogers once said that "good judgment comes from experience, and a lot of that comes from bad judgement." Adored during the 1930s, I can only wonder what he'd say today. History rarely works out as expected, especially when it comes to the perspective you need to profit from it. Society, of course, doesn't think this way, which is why our lives are filled with information "everybody" knows is true – but really isn't. … relish privacy and protest vigorously when it's threatened, yet have voluntarily created the single largest, most accurate, and most valuable marketing databases in mankind's history using social media platforms like Facebook, Instagram, and Pinterest. … complain about fake news and free speech because they interfere with the freedom of individual expression, yet support censorship when it comes to views we don't share ourselves. 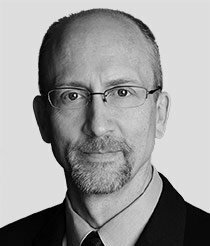 … want change yet immediately seek to preserve the status quo when it happens. Not surprisingly, that's where I get interested from a financial perspective. I call this phenomenon the "Total Wealth Principle of Forced Perspective." Let me explain why it's worth millions to investors who understand why it works and how you can use it to find ginormous winners. Most investors go out of their way when it comes to the obvious. That's why "Top 10" lists, annual reviews, and the like are so popular. Yet, the biggest and most profitable opportunities are often hidden in the inherent contradiction between things "everybody" knows are true and the way the "herd" thinks about their money. That's why, for instance, Warren Buffett hunts for "value," why the legendary Jim Rogers frequently takes "the other side of the trade," and why Sir John Templeton bought very effectively during periods of "maximum pessimism." None of these men are doing anything different than the "herd." They're human, too, which means that they see the same things most investors do. It's how they view things – meaning how they process the information in front of them – that allows them to identify enormously profitable investments. For lack of a better description, they see the same things most folks do but have a different perspective. And, not surprisingly, that's a crucial distinction. It doesn't matter whether you're talking about your favorite stocks or your favorite potato chips. Perspective based on what we think we know drives behavior, even when what we "know" isn't necessarily true. 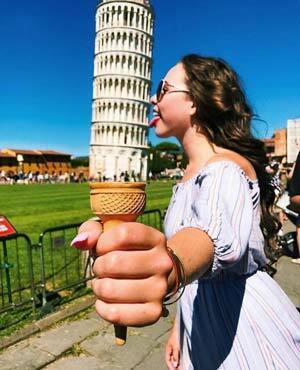 Everybody knows the Leaning Tower of Pisa isn't an ice cream cone, but this shot from Michigangirlinpearls (of Instagram) makes you think twice. Similarly, people know that you can't really lean on the Golden Gate Bridge, yet chuckle when they see shots like this one because it's so unimaginable that it's funny. Dr. Markman explains that this is because of "protected" values based on a series of beliefs about how we think our world should work, not necessarily how it really works. The problem is that we cannot easily separate the two perspectives because there are "rules." So, what happens instead is that our brains try to sort out the inconsistencies by placing contradictions in context. That's why comedy, satire, political discourse, and pictures like these are so entertaining.